The water is warm at the ocean; an August breeze rustles my hair as I sit relaxing at the ocean beach and pondering the upcoming fall music season. 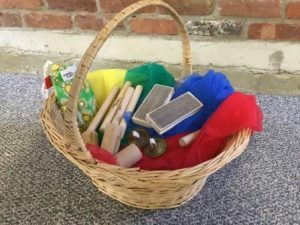 When I started teaching early-childhood music classes in 1992, not many people knew what “early-childhood music” really was, but things have certainly changed. It is rare to find a child these days who has not had an early-childhood music experience, either in a pre-school or in a private studio setting. This is wonderful news! The earlier we reach children the more opportunity we have to help them reach their full music potential. Thanks to a myriad of articles about the long term benefits of music in a child’s life, many who previously thought music to be a nice little “extra” are now clamoring to sign their children up for class to give them an edge on their SAT’s. On the one hand it is very gratifying to have the work of early-childhood music and movement teachers validated by scientific research. Seeing the value of music education highlighted in the media is truly exciting! On the other hand, I find it rather sad that for many people in our society, music is only valued for its ability to improve a person’s math and science skills. 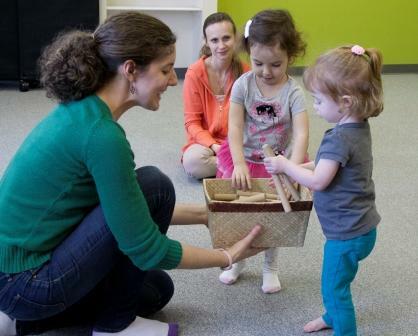 Music teachers have long known about the relationship between music and spatial awareness. We know that students involved in school music programs have better attendance records. We know that being involved in a music ensemble promotes social skills. While these are all good reasons for enrolling a child in a music program, they all point to the extrinsic value of music. What about the intrinsic value of music? What about music for music’s sake? Imagine for a moment the Inauguration Day ceremonies without the Marine Band playing “Hail to the Chief”, or your child’s first birthday without the sounds of “Happy Birthday” being sung by your family, or a Christmas Eve church service without any Christmas carols. Music is a part of our lives and is an important part of the ceremonies that mark the milestones in our lives. It’s hard to imagine a wedding, a funeral, a graduation, a party, or a parade without music. Music is an essential aspect of our humanity that stimulates the imagination and nurtures the soul. Music is a source of joy and wonder and we all have the right to fulfill our musical potential. .
All children are musical beings and are born with an aptitude for music. But that aptitude diminishes if it is not nurtured in the first nine years of life. By helping our children reach their full music potential we are helping them come into their own as well-rounded human beings. 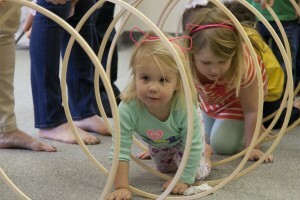 Musikgarten programs do this in a weekly classroom setting. 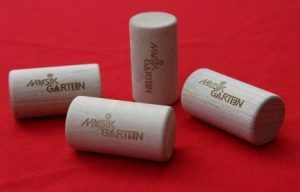 Musikgarten teachers choose the finest musical instruments they can get their hands on, ideally all made of natural material. Musikgarten incorporates a selection of music and movement activities drawn from the best of our cultural heritage. It was put together by master designers to be flexible and meet the needs of all young children and teachers. My feet push into the sand as I watch children dig and create sand castles, happily humming to themselves and I envision all the activities we do in class that are based on large muscle movement – the root of all true learning experiences. The children follow the steps of musical fluency, intricately incorporated into my program and constructed to bring the children’s whole body into each music experience. Music flows from their toes to their vocal chords, movement and sound working together. 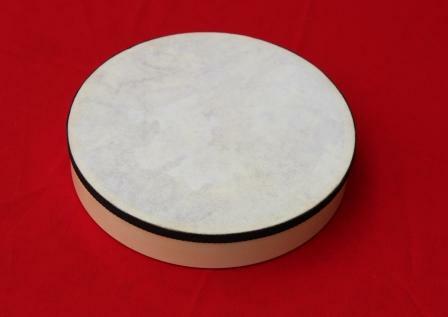 It extends out from the mind to the tips of their fingers as they reach toward a keyboard or drum to play the music that they hear in their head. A parent comes to help build and decorate the sand castle with their child. This parent/child relationship is integral to the development of the child. 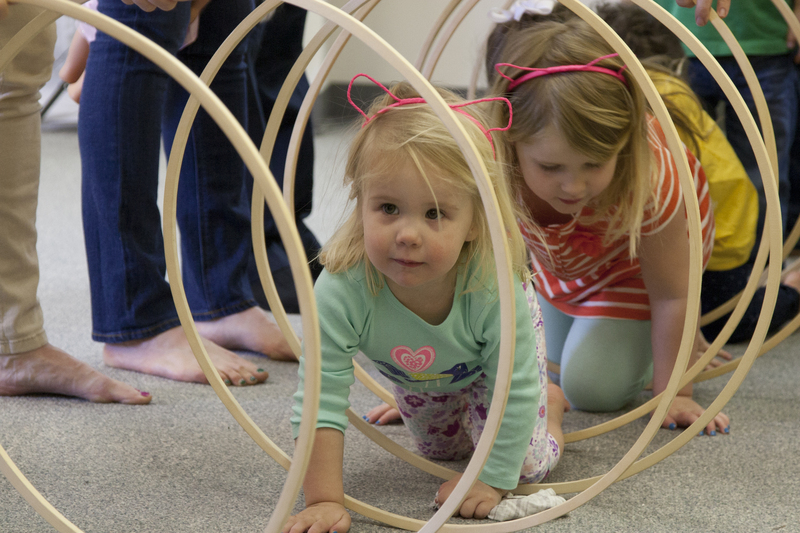 Musikgarten classes provide families with a weekly parent/child time where you can rock, sing, clap, hug, roll, laugh and learn with your child. Every activity in class is an opportunity for you and your child to share a special moment that can be reproduced at home creating lasting memories. I could sit alone on a solitary beach, yet I choose a spot in the middle of a lively beach crowd. Music class gives you and your child a choice to connect with your local community. Rather than watching music programs on T.V. or setting your child in front of a computer screen, you can make music among friends through song and dance. Most importantly, by bringing your child to a weekly music class you say to your child that music is wonderful, it is shared with others, it is a valuable part of your every day experiences and it is a part of your daily family life. Now it is time to return to my studio and leave behind this summer beach day of reflection. I hope you will teach Musikgarten or find a Musikgarten music program that will fill your lives with music! As a young piano teacher, I was taught that the most successful recipe for learning to play the piano was to encourage the triangle of support from student to teacher, teacher to parent, and parent to student. When any of these sides become weak, the process becomes more difficult for all. Then reality set in. I faced a problem many piano teachers lament. The parent would drop off their student, hopefully on time, and later pick up their student, hopefully on time, but their involvement ended there. Even though the child received a weekly written homework assignment of what to practice at home, more than likely the only one benefitting from this paper was a hungry dog. I was entertained with threats indirectly aimed at me as the exasperated parent would lecture the sullen child, “If you don’t practice the piano, I am not going to invest any more money for lessons”. 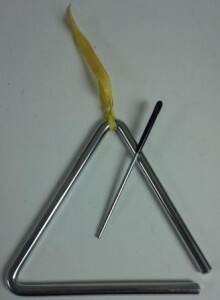 Unlike an orchestral triangle, my triangle was thudding, not dinging. Adding Musikgarten classes to my piano studio makes this triangle so much more fun to manage. By bringing families into my studio to share music with me, I could now direct appropriate music making. Families receive a marvelous CD, or digital download, of music for them to sing and dance with all week. Ultimately I form a lasting relationship starting in my early childhood classes and moving through the program and beyond into my private piano program. Gets to know the whole family in the music class setting. Becomes familiar and can work with their high/low and out of tune voices, and can adapt the program to work with the laid back family or the families that giggle and jiggle along. Long term relationships are formed in a Musikgarten class and the triangle is strengthened. This musical relationship can go on for nine years in the Musikgarten curriculum and beyond in traditional lessons. When that student finally graduates from high school and adds music to their college course load all can shed tears of congratulations. Gets to share something once to a group rather than 8 times to individual lessons. And the punch of the content is much more effective in the group. No more telling a student who may or may not tell the parent. Receives firsthand experience of what is happening when their child is learning music. Learns alongside their child and may even relearn what they were taught as a child. Receives a quality recording and doesn’t have to entertain their child with solo performance of singing. Know they have made a sound musical choice for their child that will go well beyond the early childhood years and gracefully bridge their children on to formal lessons. LOVE having their parents and siblings alongside as they share music. Know they can share this music at home and the family will be familiar with the songs and dances. 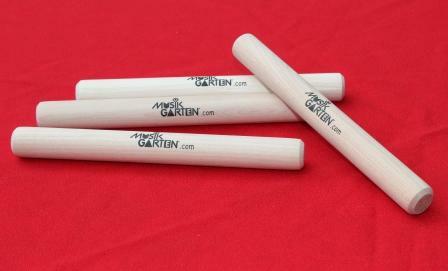 Can dance, sing, and play musical instruments along with their friends. There are so few experiences in our culture wherewe get to really know the teacher the way a Musikgarten class can provide this access. And if you have, share the benefits you have enjoyed. What are your biggest behavior challenges? Fidgety kids? Disruptive outbursts? Parents who seem oblivious to their child’s charming antics? Last month, we asked Musikgarten teachers for their best advice on classroom management and dealing with disruptive behaviors. The number of responses was overwhelming, so we’ll tackle this topic as a two-part series. This month, we’ll address behavior issues; next month we’ll cover clever classroom management methods. Remember, it’s your studio, your rules, and a little structure goes a long way toward making sure parents and children have the best experience possible. Do let families know your class expectations from day one. Hang a poster. Post class rules on your website. Remind children often or ask them to remind you of the rules. Do address severe or ongoing behavior problems promptly and privately with the child’s parent after class. The longer you let a problem persist, the tougher it will be to correct. Don’t ask if, imply or suggest a child has special needs such as ADHD or autism – those are specific medical diagnoses that should only be made by qualified professionals. Do reward good behavior openly and often. Let other children set an example. Do politely ask a parent to temporarily remove an unruly child to help them calm down. Do try to understand why a child may be acting up and work with parents to find a solution. If a child is always cranky during a mid-morning class, he may just need a nap at that time and a later class. Now, some tips from real Musikgarten teachers! Call on Mom or Dad. If a child starts crying, screaming, or melting down during a class, take a note from Kendra Beagles of KB’s Musik and address it directly to the parent. She’ll politely say, “You’re welcome to take Suzy to the bathroom if she needs a break. Please come back and join us as soon as she’s calm.” Make sure the parent knows you’re encouraging a brief cool down for the child, not asking them to leave. Wait, there’s more! Stay tuned for Part 2 next month, where we share teachers’ top classroom management tips to keep things running smoothly (even large classes). Thank you to our awesome contributing teachers for their time, talent, and wisdom! What do you think? Share your questions, thoughts, ideas, and advice with us here.